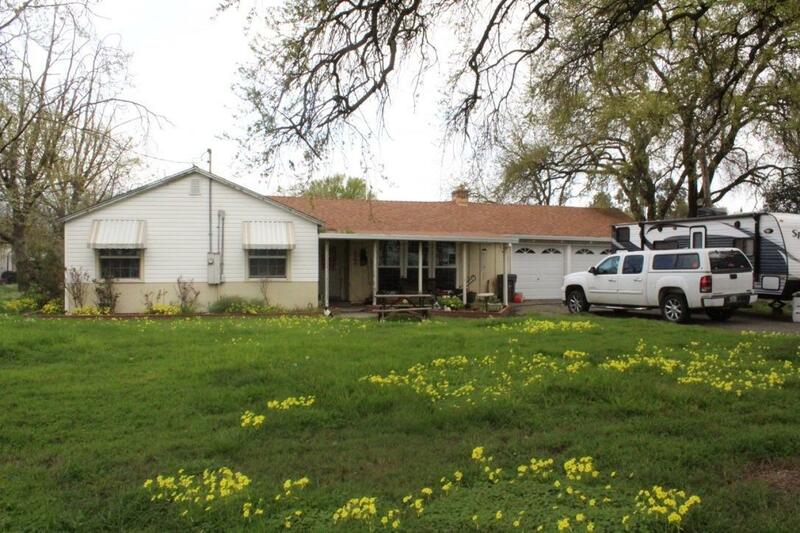 Great potential for sweat equity in lovely country setting just minutes from downtown Sac. The home has been enlarged over the years, original garage converted to large living room with fireplace. There is also a large family room with bar, formal dining room, kitchen that has room for a nice remodel. There are two bedrooms and a bath in front of the home, and two more bedrooms and baththat were added in back. There is a large bonus room currently used as a laundry room that would make a great craft room/laundry area. Windows appear newer. The home is located on a quiet street with nice homes There is an older barn that is functional. A new custom subdivision is up the street and homes are selling for over $1M. Shopping, restaurants & entertainment nearby.